Tommi Galvin (Ribisi) is a technician in a protein growth factory, monitoring and manipulating meat products for the mass consumer market. He’s quiet, fastidious, and apparently conscientious about his work: with colleagues he’s peremptory and quite curt. What they don’t know is that Tommi is stealing growth hormones to help with a project that he’s working on at home. His latest theft of the growth hormone appears to have the desired effect on his “experiment”, but the arrival of two law enforcement agents (Jung, Foy) leads to an unexpected, unfortunate reversal of fortune. Made to showcase the new 4K camera technology, Loom is a bleak, dystopian piece of science fiction directed by Ridley Scott’s son, Luke. The world of the future is presented as a bland, antiseptic place where Man interacts on a conservative, non-social level, and where the environment is regulated and controlled for the greater good. It’s a largely sterile world, all neutral colours and impersonal living and work spaces. The production design by Chris Seagers is crisp and precise and expands on current architecture to provide a convincing look at the future, and supports the storyline’s examination of how we connect with other people in the face of an a sterile, distant social order. With the world around Galvin so well constructed, Loom focuses on the sense of alienation he feels; even when he’s spending time with his “partner”, Escha (Howie), there’s a disconnect that you can see he wants to overcome but is struggling with. His agitation at the arrival of agents Seville and Walton gives rise to an emotional reaction to subsequent events that is reassuring for his continued humanity (though it’s likely he’ll be either on the run or in prison). Galvin’s calm, measured demeanour is impressively played by Ribisi, his passive features hiding a personality that’s striving to make a difference, if only for himself. As Escha, Howie has a difficult role that requires her to behave with a childlike detachment, though she’s scarily effective too when the agents turn up, and she and Galvin’s relationship is threatened. In the director’s chair, Scott displays a confidence and control in the material that augurs well for future projects, and aided by cinematographer Darius Wolski, paints a picture of the future that feels eerily prescient. The movie is often deceptively beautiful to look at, and the clarity of the image more than upholds the decision to use the 4K cameras. 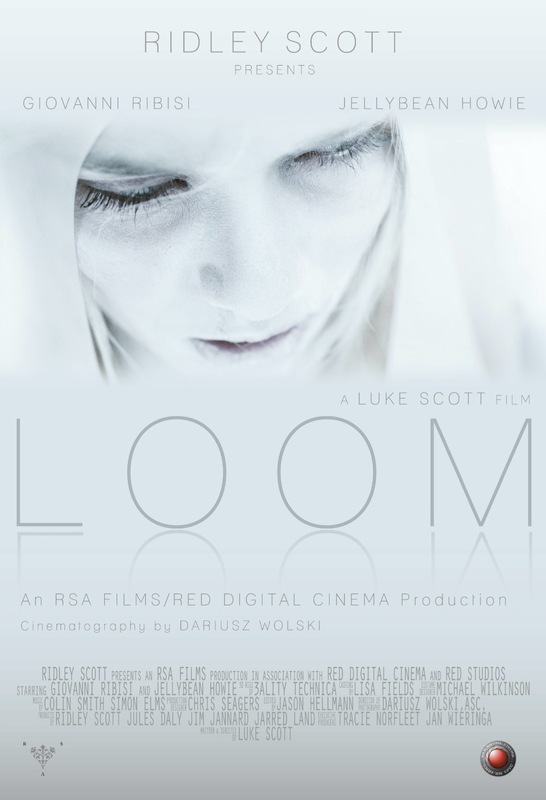 Rating: 8/10 – intriguing – though not as thought-provoking as its set up might lead viewers to expect – Loom is an impressive debut from Scott, and features a surprisingly complex performance from Ribisi; well worth seeing, and a movie that leaves you wondering what happens next.